One Community Health is the proud leader of affordable, integrative dental care in the Columbia River Gorge. Serving 5,000+ patients in our region, we know that an exceptional experience can have a profound, positive impact on whole-person health. Good oral health contributes to good overall health. 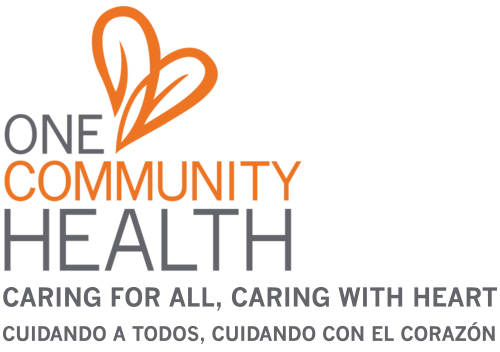 Preventive and restorative care is offered at One Community Health. Take a seat in our dental chair, and you'll find you are at the center of our team-based care. Learn what it's like to have skilled, compassionate dental providers partner closely with you. We'll coach you on how to maintain healthy teeth and gums while preventing dental emergencies before they occur. Expect to come away feeling empowered and energized by your dental experience with us. At One Community Health, we strive to give you the most comfortable, gentle and positive experience possible. Concerned about receiving dental treatments? Please let us know. We will listen and take steps to help you feel more relaxed and as pain-free as possible. Should your oral health condition signal a need for you to explore medical or behavioral health care, One Community Health's integrated approach to coordinated, team-based care is on site, available to you. If helpful, we may recommend you visit with our Salud Program, offering nutrition and wellness education that supports not just your oral health but your entire body, too. Expecting a baby? If pregnant, don't overlook the importance of good oral health. During pregnancy, hormones and other factors can trigger a number of changes in the mouth, affecting the wellness of teeth, gums and oral bacteria. For example, bacteria that cause dental decay are transmissible. If you're having a baby, visiting our dental health care team makes solid, preventive sense in terms of reducing this and other oral health risks during pregnancy. 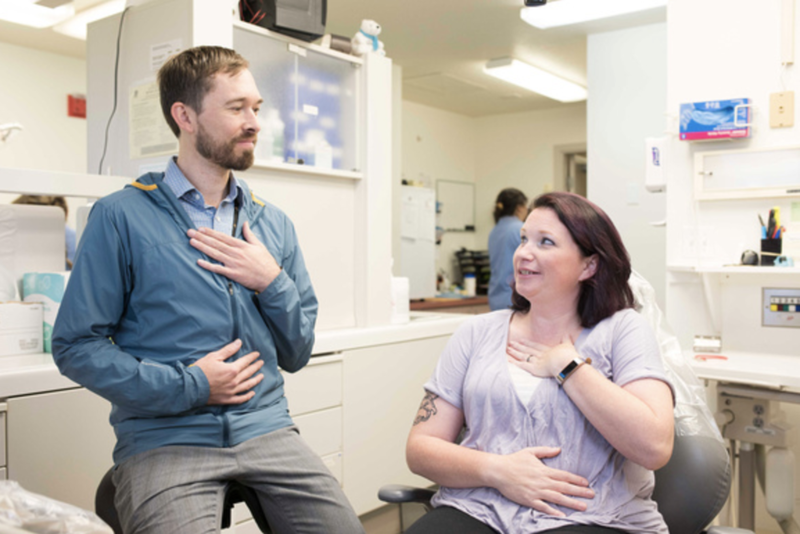 As part of our commitment to integrated care, we recognize the importance of the mouth-body connection. If you are pregnant and do not have a dental provider, you may be referred to our affordable dental program through our medical prenatal program. Your medical team will inform and communicate your health care condition and needs with your new dental team. This collaborative, comprehensive approach supports a higher standard of prenatal and postnatal care. Tooth decay is the most common chronic disease of school-aged children. Nationally, children with poor oral health are three times more likely than other children to miss school. Research also shows students with toothaches are almost four times more likely to have a low grade-point average than peers who did not report tooth pain. In light of these alarming trends, One Community Health takes pediatric dental care to heart. One Community Health provides exceptional, affordable dental health care for children throughout the Columbia River Gorge. We're experts at making the experience fun yet educational. Through our gentle, compassionate approach to care, your child will come to understand why a healthy smile matters—and how to maintain it! We also work closely with Community Health Workers to identify children in the community who need dental care, providing necessary preventive care such as sealants and fluoride supplements. As well, we run a very active School-Based Dental Sealant Program, funded by the Oregon Children's Dental Health Initiative and Oregon Community Foundation. 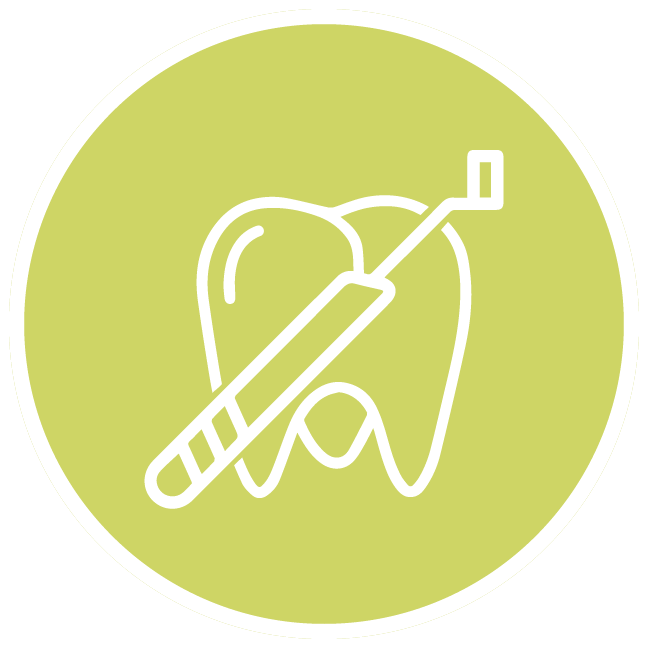 Through this program, One Community Health provides FREE dental sealants to first, second, sixth and seventh graders, as well as to high school students 14 years old and younger. We offer this directly to Hood River County Schools and also partner with Advantage Dental of The Dalles to assure these services to kids and teens in Wasco County. Did you know that severe periodontal disease is present in a third of the diabetic population? It's a fact. Increased levels of blood glucose can raise the risk for gum disease and other oral health conditions, including ulcers, infections, soreness and tooth decay, which can further impact blood-sugar levels. As diabetes affects millions of Americans every year, we strive to educate our diabetic dental patients with the latest education, give them tips and tools for greater oral health, and look through the lens of sensitivity and understanding when providing treatments, services and support. Given this, our dental staff collaborates closely with our medical team to make sure diabetics are referred to the dental program to receive a comprehensive dental exam. But that's not all...our medical providers know the science behind the mouth-body connection. If you have either Type I or Type II diabetes and do not have a plan for managing your oral health care, they will refer you to our dental care team to improve your odds for greater total wellness.